The first few times I heard "Let's Start", I thought...well, OK, I guess. Now I love that song, one of my favorites of hers. Let's give LKG some time to marinate. I do love the bossa nova beat. Anyway, more Haley music in the universe is a great thing. (05-31-2018, 08:52 AM)Rcul4u998 Wrote: I can confirm that this is definitely the type of music that everyone blasts all the time around campus. The low-fi latin sound is very hip right now. So I think it is very smart of her to jump on this band wagon and add her own artistry to the genre. A few months ago, THE Sergio Mendes, out of the blue, liked an Instagram post I made of Haley & Casey. I messaged Haley the screen cap and she followed him... I don't know if anything came of it. Add to that, didn't Haley say that "Somewhere in Between" has a Latin influence, Brazilian? So there is a connection to Haley as far as recent Latin influences.... I posited on Twitter whether LKG might foreshadow some shows in South America in the near future? I love the new song, and the video, and single art. So in other words... I'm excited for this era! 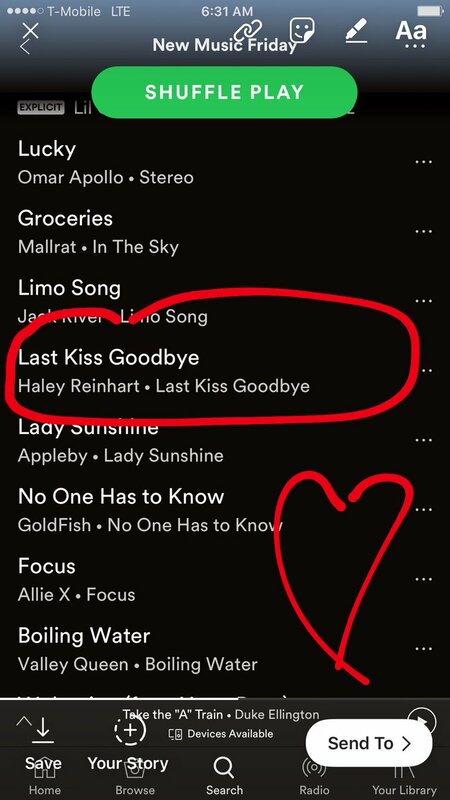 Best news yet, the single made it on the New Music Friday playlist on Spotify. Hopefully it gets a bump in streams and new listeners! classic. It is dancey and pensive, it is teasing but self-conscious, at the same time vulnerable and confidently foward-looking. Or just playful. Or just serious underneath a cover. Or all of the above, simply alive, an engagement with all that the real world has to offer. To sum it up: I think the seeming simplicity is deceptive. It is anything but. And, other than chfil and company, this one is all her own. It'll stay and grow and prove it does not fade I think. 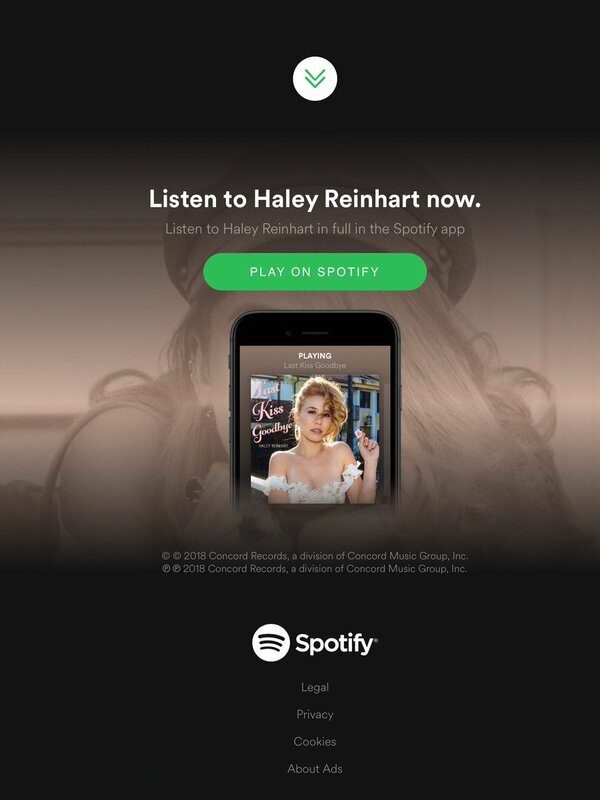 The pure incredible voice of Idol Season 10 finalist, solo singer/songwriter, PMJ superstar Haley Reinhart really comes through in HER newest summertime single. It reminds me of the light, airy, playful flirtiness of my favorite simple song from "Listen Up" of "Let's Run Away". Just to SUMMERize...This is a "Can't get that lyric string outta ma head" song which I'd love to hear played at the end of the Rose Ceremonies of ABC's "The Bachelorette" shows. Yesterday Jay tweeted his love for iHeartRadio. 'American Idol' Alum Haley Reinhart Opens Up About New Single "Last Kiss Goodbye"
Quote: Haley tells iHeartRadio exclusively of her new single, "I sat cross legged on my living room floor and channeled what it felt like to be oh so in love, and that yearning that follows every time I had to say goodbye. Once my friend and co-writer/producer, Anders Grahn, started playing a groove, the melody and words started flowing through me like a summer stream." She adds of the jazzy nature of the song, "It honestly came together so naturally. Jazz has always been a huge piece of my upbringing. I grew up on the standards and a lot of rhythms from different cultures. I'm excited to infuse this pop-jazz sound with a bit of a samba feel in hopes that people all over the world will vibe to it and sing along! Haley Reinhart & B.o.B•Listen Up! Haley Reinhart & Casey Abrams•What's That Sound? 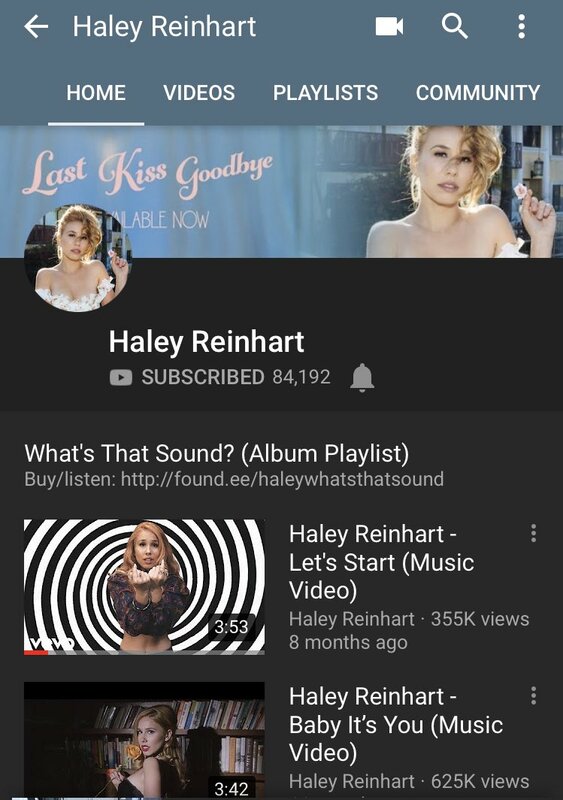 Haley Reinhart & Scott Bradlee•What's That Sound? Quote: With her beguiling vocals and powerful delivery, @HaleyReinhart brings both raw passion and soulful sincerity to all her musical output. Quote: Reinhart is set to release her Concord Records sophomore album later this year.